What problems do Ganja Tokens (GNJ) solve? What are Ganja Tokens (GNJ Tokens), and why are they so important to the budding cannabis industry? GNJ-Tokens provide real cannabis blockchain solutions for payment, franchising, production, retail and wholesale distribution. From Point of Sale and Loyalty Rewards, to product authenticity and validation, GNJ provides real dAPPS. Ganja Tokens are digital utility tokens that are transferred and exchanged using smart contracts on the Ethereum blockchain network. Ethereum blockchain anti-censorship and record-keeping technologies are the logical next step in completely changing the buyers’ and sellers’ interaction in the cannabis industry. With federal cannabis legalization looming on the horizon, the demand for secured censorship-proof cannabis-friendly e-commerce solutions is rising. Most big banks and credit card agencies refuse to do business with cannabis vendors (even in states where it is fully legal). Because the federal laws are in limbo right now, banks see cannabis companies as high risk enterprises. As a result, most cannabis vendors are forced to deal in cash which is incredibly inefficient and difficult to manage. Cryptocurrencies combined with utility tokens are the logical solution to solving the cannabis payment system problem. Unlike a securities token, the Ganja Token (GNJ) is a utility token. Utility tokens have the advantages of being infinitely more useful than simple “coin” tokens that only serve as alternative payment methods. As GNJ evolves and grows over time, so will its functionality. 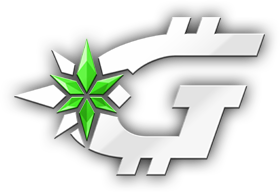 It will serve as a tradable loyalty token as well as a functional means to influence interactions on Ganja.com’s cannabis-specific applications. For example, GNJ could be issued as loyalty tokens to those customers who purchase cannabis products on the Ganja.com Market app. Ganja.com customers can then use GNJ to discount future orders, or trade that GNJ on token exchanges. Another example would be using your GNJ tokens to enhance your user experience in various ways on any of the Ganja.com Apps. Potential uses could be customer order prioritization, special order gift eligibility, contest entry participation, lotteries and giveways, boosting listings, score keeping and much, much more. For more information on potential uses for Ganja Tokens, please take a look at our downloadable Green Paper. From Point Of Sale and online supply chain management to Loyalty Programs and beyond, GNJ will be there. We reward you in using our Ganja.com systems/sub-sites/dAPPS by issuing free loyalty GNJ Tokens. This draws traffic and users to our systems. We also will be transferring and distributing GNJ during our ICO to cover present and future costs of running this loyalty programme. GNJ if not already, soon will be traded on the open market at exchanges and retailers world-wide. Also, GNJ Tokens will soon be available for loyalty reward from participating retailers and suppliers world-wide. Other ganja related companies and persons offer products and product enhancements in return for GNJ Token loyalty reward, hence creating advertising opportunity for themselves and traffic to their site/products. Instead of purchasing advertising, why not trade your wares/services on Ganja.com and receive traffic and GNJ to your sites/products? After your product/service receives that notoriety/advertising/traffic, you are then holding GNJ. Instead of purchasing products with cash, why not trade your loyalty reward GNJ Tokens for products and product enhancements? You can earn them for free from Ganja.com and other retailers and suppliers around the globe. What is a “Token Sale” and how do I participate? The Ganja Token Sale is your chance to purchase the GNJ utility tokens at a potentially massive discount. With an entry Token Sale price pinned at a value of $0.10 per token, Ganja.com is offering the highest value to Token Sale purchasers as an appreciation of those early adopters who believe in the platform’s vision. To participate in the Token Sale, first Create an Account and then click on the Buy Tokens button in the main menu. Every token order must provide a valid Ethereum address where we can send you the tokens. This is also known as an Ethereum PUBLIC KEY. If you are unfamiliar with these terms, please consult a friend close to you who is familiar with purchasing ERC-20 tokens. You can use a hardware wallet or a wallet website like MYETHERWALLET.COM to generate your Ethereum PUBLIC address (never share your PRIVATE KEY with anyone). Never use an exchange’s ETH address (like a Coinbase address) to receive your tokens. If an exchange’s ETH address is used, your tokens will be lost forever. What is the process of buying GNJ Tokens in the Token Sale? Once your order is placed, you must send your chosen payment to the deposit address provided. Your payment will be verified in 2-3 business days. As soon as your payment is verified, your GNJ tokens will be transferred to the provided Ethereum address. After I place an order for my GNJ tokens and send payment, how long before you send me my tokens? Your payment will be verified in 2-3 business days. As soon as your payment is verified, your GNJ tokens will be immediately transferred to your provided Ethereum address. Throughout the order process, you will be kept apprised with ORDER STATUS emails. So, be sure to provide a working email address at the time you place your order. When does the Ganja Token Token Sale end? The length of the Token Sale periods end on certain dates. There is a live countdown showing the exact dates on the GNJ Token Sale page. What kind of wallet can I use to store my GNJ tokens? If you are new to cryptocurrency and are having a difficult time learning how to make an Ethereum address or do not understand how to purchase tokens, please consult a close friend who is familiar with the process of purchasing tokens. Can GNJ tokens be mined like Bitcoin? Because GNJ tokens are ERC-20 utility tokens, they are not able to be mined. This also depends on your definition of what “mining” is. A future Ganja.com cannabis vendor might choose to reward its customers with GNJ tokens for engaging with their content and participating in various activities. Being rewarded with GNJ tokens for a higher frequency of participation could be interpreted as a form of “mining”. Is Ganja.com working on a blockchain solution for its Franchising, Products and Services? YES. In fact we have been working for MONTHS already on our blockchain inventory procurement and management solution. Security plus uptime equals blockchain! Also, our blockchain solution that records intellectual property registrations for Ganja.com’s branding, products and services is moving along quite nicely as well. Verifying product authenticity, approved franchises and vendors will be super easy using just your mobile phone and our free blockchain dApp. Where are GNJ Tokens tradeable? GNJ Tokens may be tradeable on your favourite Crypto Exchange very soon! Signup for our newsletter and we will keep you updated. Yes. 420Mail.com is coming soon in celebration of Canada’s imminent recreational cannabis legalization. Also, 420Mail will be utilizing Ganja.com’s blockchain technology, Marketplace. What kind of personal information do you need from me before purchasing tokens? Since GNJ is a utility token and not a securities token, we do not require detailed information or photos from you. All we require is your name, e-mail address, and country. Any other information you provide is OPTIONAL. For more information on who is allowed to participate in the token pre-sale, please take a look at the GNJ Purchase Agreement. What is the Ethereum Blockchain, and what is an ERC-20 Utility Token? The Ethereum token standard (ERC-20) is used for Ethereum smart contracts. Developed in 2015, ERC-20 defines a common list of rules that an Ethereum token has to implement. Is there a minimum number of tokens I must buy in the Token Sale? To limit order congestion, a minimum of 100 (ONE HUNDRED) GNJ tokens must be purchased in any given order. The entry value of 100 GNJ tokens is approximately $10.00 USD. The discounted entry price per token is approximately ten cents ($0.10 USD). What cryptocurrencies do you accept in the Ganja Token Token Sale? We currenctly accept Bitcoin (BTC), Ethereum (ETH), Litecoin (LTC), Monero (XMR), Ripple (XRP) and Zcash (ZEC). For an up to date display (Calculated in REAL-TIME) of our accepted currencies and their GNJ conversion rates, please take a look at the GNJ Token Sale page. I am a US or Chinese citizen. Can I participate in the utility token Token Sale? For more information on who is allowed to participate in the GNJ token Token Sale, please read the GNJ Purchase Agreement. How is GNJ any different than other cryptocurrencies like Bitcoin? Why wouldn’t people just use Bitcoin? The GNJ token is a UTILITY TOKEN – much different than a SECURITIES token. In order to utilise Ganja.com’s blockchain systems and become a member, you will need GNJ Tokens. Unlike a securities token, GNJ utility tokens have the advantages of being infinitely more useful than simple “coin” tokens that only serve as alternative payment methods. As GNJ evolves and grows over time, so will its functions. It will serve as a tradable loyalty token as well as a functional means to influence interactions on Ganja.com’s cannabis-specific applications. For example, GNJ could be issued as loyalty tokens to those customers who purchase cannabis products on the Ganja.com Market app. Ganja.com customers can then use GNJ to discount future orders, or trade that GNJ on token exchanges. Another example would be using your GNJ tokens to enhance your user experience in various ways on any of the Ganja.com Apps. Potential uses could be customer order prioritization, special order gift eligibility, contest entry participation, lotteries and giveways, boosting listings, score keeping and much, much more. For more information on potential uses for Ganja Tokens, please take a look at our downloadable Green Paper. Can I help to spread the word about GNJ and earn a token bounty? Absolutely! We are incredibly excited about rewarding early GNJ adopters with a reserved token pool bounty. For more detailed information on how to participate in the token bounty, please sign up to the GNJ Mailing List to receive notifications about when the affiliate program is launched. Ganja.com is a small and truly international group of like minded entrepreneurial programmers. So far, we have members that reside in Canada, the UK, USA, Jamaica, Italy, Norway, Germany, Mexico, Cayman Islands, Spain, Netherlands, Switzerland , Japan and France. Ganja.com is GROWING FAST. We definitely need more help in building not only our online systems but also our company’s infrastructure. If you have experience in managing or assisting in any of the following areas, please send us your resume right away to jobs at ganja.com. We are operating in an extremely fast growing company that is full of fun and learning. If you are interested in both working and playing hard, please do contact us. Ganja.com is a small and truly international group of like minded entrepreneurial programmers. So far, we have members that reside in Canada, the UK, USA, Jamaica, Italy, Norway, Germany, Mexico, Cayman Islands, Spain, Netherlands, Switzerland, Japan and France. Your privacy is extremely important to us. We will never send you spam or share your e-mail with a third party.